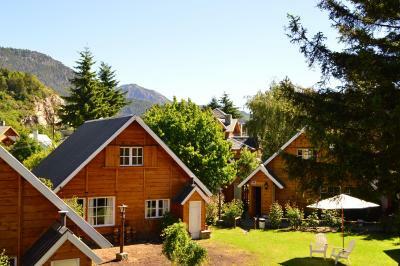 Lock in a great price for Cabañas Nonthue – rated 9.1 by recent guests! Excellent location in a great little town by the lake shore. Easy walking distance of cafes, restaurants and shops. Lovely lawn area with asados bbq available to use. Just a couple of blocks away from the plaza and waterfront. Apartments are a bit aged and could benefit from a renovation. 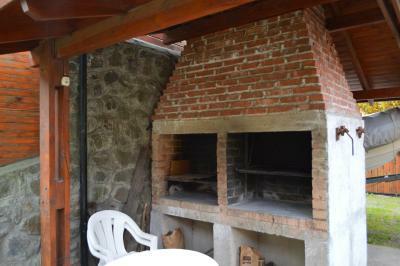 Garden is for common use and has a large BBQ for use. Ecxelente el acceso para personas con capacidad reducida.Muy buena ubicación. Tiene un parque muy cuidado. Cabaña amplia y comfortable, cerca del lago, un poco màs alejada del centro. Todo muy bien. El equipamiento, limpieza y ubicación. Súper cómodo. Camas comodisimas, claros y oscuros ad hoc para dormir tranquilamente, buen espacio. 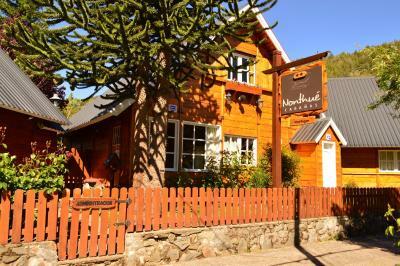 One of our best sellers in San Martín de los Andes! 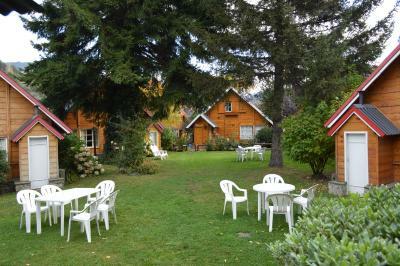 Featuring a garden and BBQ facilities, Cabañas Nonthue offers self-catering accommodations in San Martín de los Andes. The commercial area is 1,000 feet away. Providing a tranquil environment, the bungalows in Cabañas Nonthue feature fully equipped kitchens, 2 bathrooms, cable TVs and panoramic mountain views. 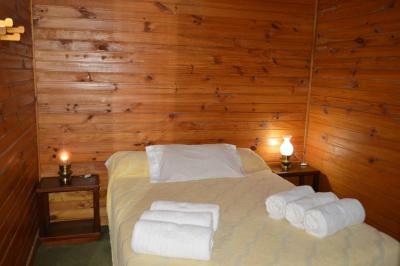 Guests at Cabañas Nonthue are provided free on-site private parking. 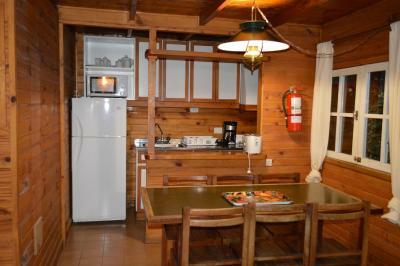 Cabañas Nonthue is 650 feet from Lacar lake and 1.9 mi from San Martin airport. Chapelco ski center is 8.1 mi away. 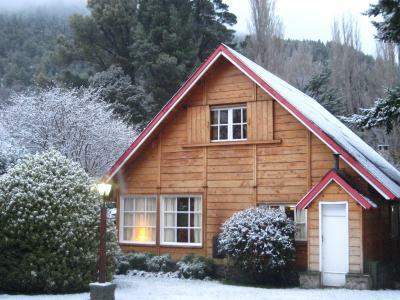 뀐 Located in the top-rated area in San Martín de los Andes, this property has an excellent location score of 9.4! 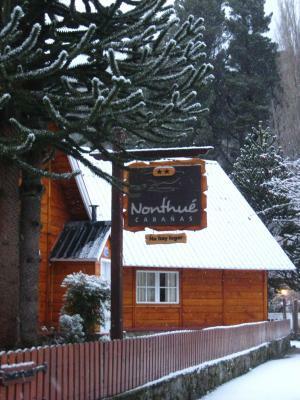 When would you like to stay at Cabañas Nonthue? 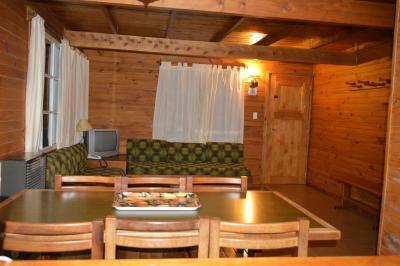 This bungalow features a fully equipped kitchen, 2 bathrooms, cable TV and panoramic mountain views. 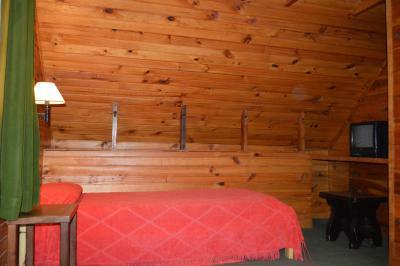 This bungalow has bright and spacious rooms. It consists of a double bed with an private bathroom on the ground floor and a bathroom with a hydromassage tub on the upper floor. House Rules Cabañas Nonthue takes special requests – add in the next step! Cabañas Nonthue accepts these cards and reserves the right to temporarily hold an amount prior to arrival. Please note front desk assistance is available from 9 AM to 6 PM only. The main room in the cabanas is spacious however the kitchen area is basic. Dated and dark cabin, WiFi barely worked for us. Kitchen sink did not drain and when we went to the office to let them know we were handed a plunger to try to plunge it ourselves. Passive aggressive notes all over the cabin informing us of rules and charges for not following the rules. This was a last minute one night stay, would not stay here again.